September sure has panned out to be a lovely extension of summer. We’ve been eerily dry this year through every season but we know the rains will return soon enough. Every week I catch myself looking back at last year’s weekly newsletter and it’s crazy how similar and different each season can be. Some crops that started to peeter out this time last year are still going strong in this year’s garden while others have come and certainly slowed down in comparison to last year (due to all the consistent heat). But some things are exactly the same.. it looks like we’ll be harvesting and curing our winter squash this coming weekend as well as our sweet potato crop. It’s nice to have some consistency when many things in farming show you there’s so much learn! Two proud guys that I am so happy and proud to know. Here’s to keepin’ warm over the winter! Over the next month we will be slowly transitioning into our cooler weather crops. The summer crops are still performing with all the heat and sun but as the days get shorter and the nights get cooler the Fall veggies will start to shine. The summer harvests have been so plentiful… we’re looking forward to the shorter days, to give these farmer bodies a little bit of re-coop time. This is the time of the season where our backs feel it the most – 50 lb harvest crates x 3 days (and 85 shares) can add up to a lot of pounds of produce being harvested and carried around the farm… Not to mention the walking. We haven’t put a pedometer on in a while but we’d bet we’ve been easily walking 20+ miles each day. Morning and evening chores will surely seem a bit easier when all the critters are moved up closer to the barn over the winter. Farmer Brian has made great progress this weekend on our 100ft greenhouse (and has the blisters to prove it). We plan on doing some seeding and transplanting in there throughout the week and will put the poly top on after this string of hot, hot weather. This will extend the season of our more tender crops as well as the first round of Spring crops (i.e. Spring Carrots!) – always thinking ahead…. 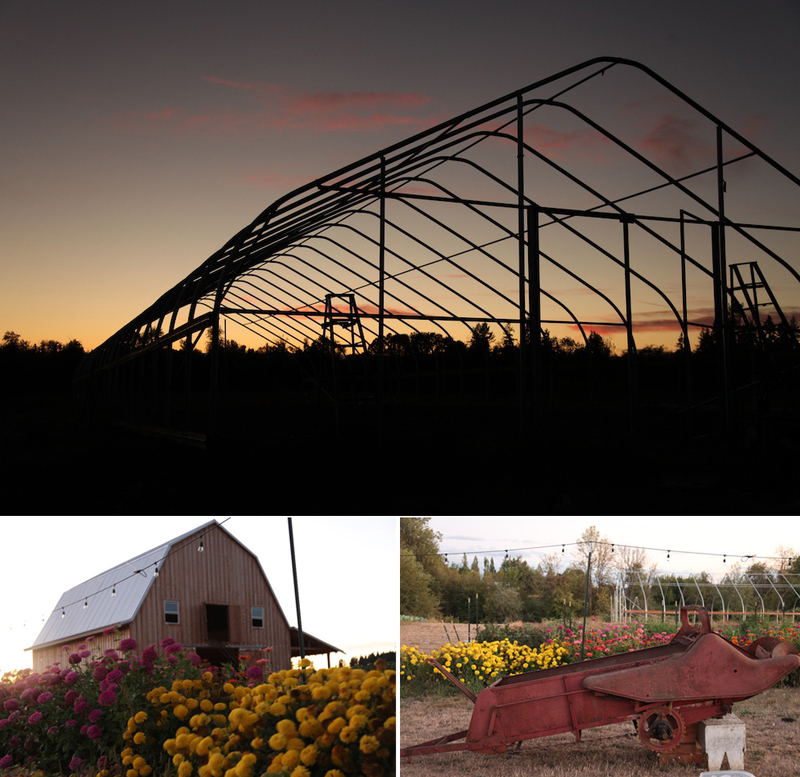 Can’t wait to see the barn filled up with curing winter squash this weekend! Honeybee Appreciation. Did you know… to make one pound of honey, the bees in the colony must visit 2 million flowers, fly over 55,000 miles and will be the lifetime work of approximately 768 bees? 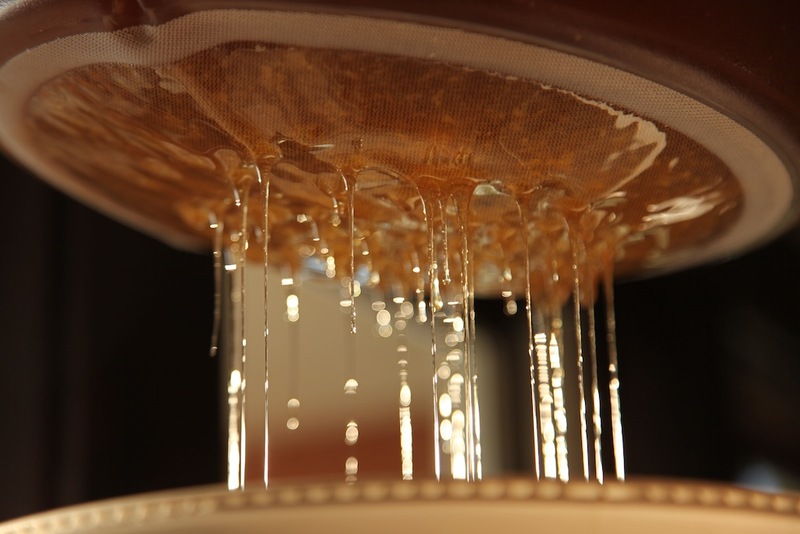 And that a single honeybee will only produce approximately 1/12 teaspoon of honey in her lifetime… amazing! Every ounce of it truly is gold! Honey! Honey will be available this week for members! One of our members suggested calling it an elixir – as it’s the purest form of honey you can find and from a most trusted source! It’s raw, unfiltered and comes in an 11 fl oz. jar. Your farmers will be available from 4-7pm so come prepared for sweetness! This very old compost spreader is going to change these two farmer’s lives for the better! No more hauling by hand… workin’ smarter.. Bulk Tomatoes. Thank you all for your interest in our bulk tomatoes. The season continues but we know these cold nights will soon slow down production so send us an email if you’re interested in picking up 25lbs or more this week! Pork shares. We sold out of pork shares within the first 72 hours of having them available! We love that folks have been so excited about pasture raised pork and we look forward to having more available in October. CSA Member Pick-a-Pumpkin-Day! Mark your calendars. Our CSA member pick a pumpkin day is set for Saturday, September 20th from 11am – 1pm. 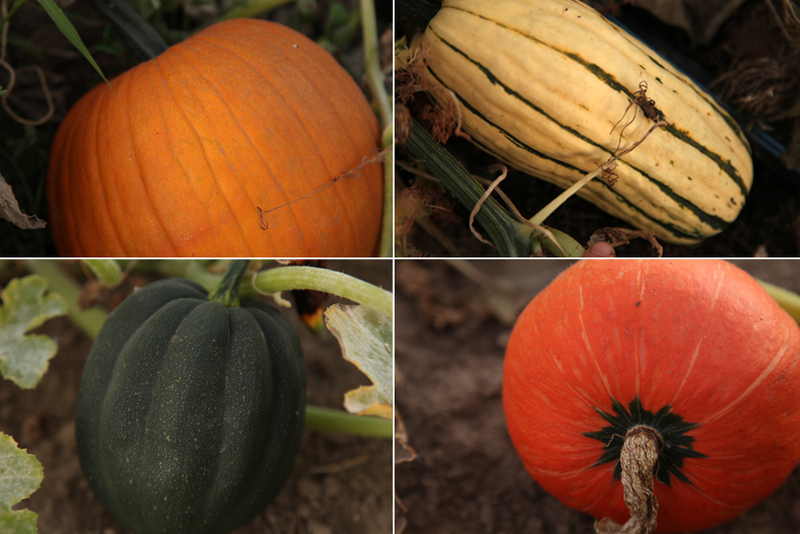 Members will have the opportunity to pick out one pumpkin per share between the hours of 11am-1pm. This is a weather dependent event with more info to follow! CSA Member Movie Night on the Farm. Fried Green Tomatoes is on the bill for movie night this Friday! We will be starting the movie around 7:45pm so come 10 minutes early to set up your chairs! Bring your own chairs, a few extra layers or a blanket for when the sun goes down, and some snacks! Fried Green Tomatoes is about a housewife who is unhappy with her life and befriends an old lady in a nursing home and is enthralled by the tales she tells of people she used to know. Most definitely one of the best films ever! Come watch Idgie the beecharmer do what she does best. Towanda! 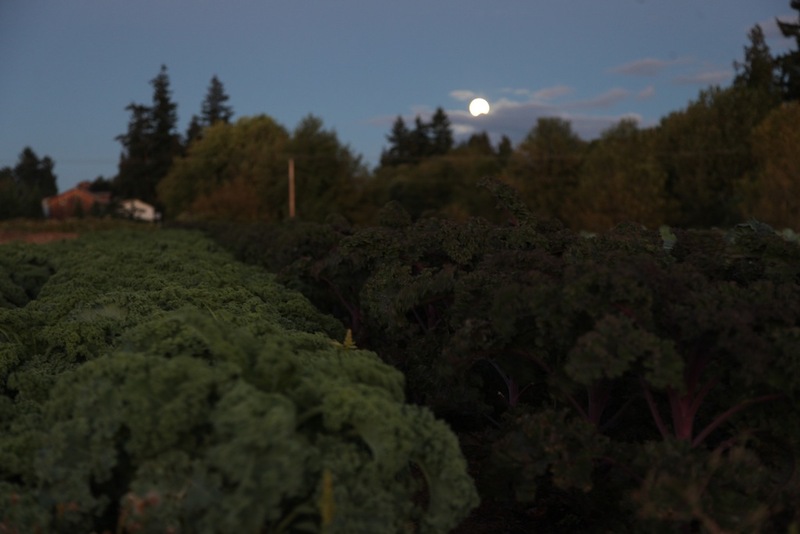 The almost full harvest moon making it’s appearance beyond the brassicas..
We’ll see you all this week! Happy harvesting for Week 17…..